This is the second inning of Nokia 3310 which comes with modified design and looks. Comes now in India for sale and available right now. Here you can read some important details about its launch. The feature phone will be made available in four color options: Warm Red and Yellow (both with a gloss finish), and Dark Blue and Grey (both with a matte finish). The Nokia 3310 price in India is Rs. 3,310. The feature phone stole the limelight at the company’s MWC 2017 launch event and received an overwhelmingly enthusiastic response to the event. The 2G feature phone was a nostalgic reminder for fans, bringing back the familiar form factor, long battery life, and Snake game of the original. The new Nokia 3310, much like its original sibling, features a massive standby time of up to a month, a highlight of the device. The new Nokia 3310 also includes the regular Micro-USB port and ditches the pin charger. It features Bluetooth 3.0 with Nokia’s SLAM technology. The Nokia 3310 sports a 2.4-inch QVGA (240×320 pixels) color display, compared to the 48×84 pixel resolution of the original. The handset runs on Nokia Series 30+ OS and comes with 16MB storage and supports expandable storage via microSD card (up to 32GB). On the back is a 2-megapixel camera with LED flash; the feature phone also offers FM radio. Nokia 3310 (2017) packs a removable 1200mAh battery that offers 22-hour talk-time and month-long standby time. 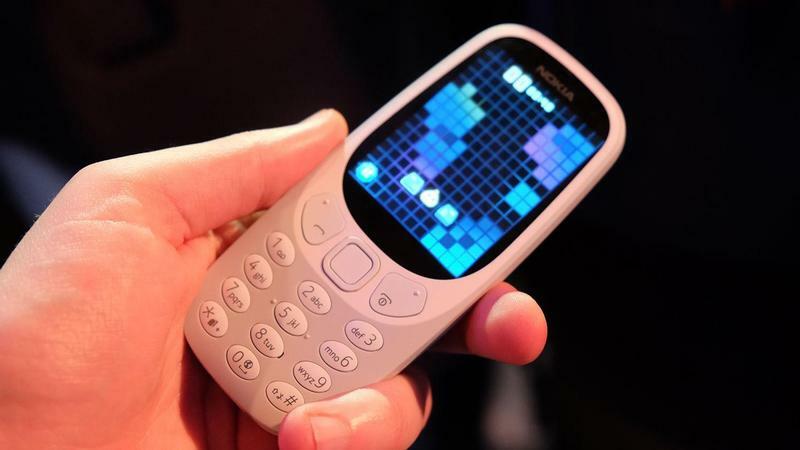 With the Nokia 3310 (2017), HMD Global also brought back the classic Snake game which has been optimized for the new color screen.